According to the regulations of the EDB, admission records and waiting lists are confidential. Parents and applicants are not allowed to request any related information. Successful applicants will receive the allocation results together with students from central allocation on 9 July 2019. 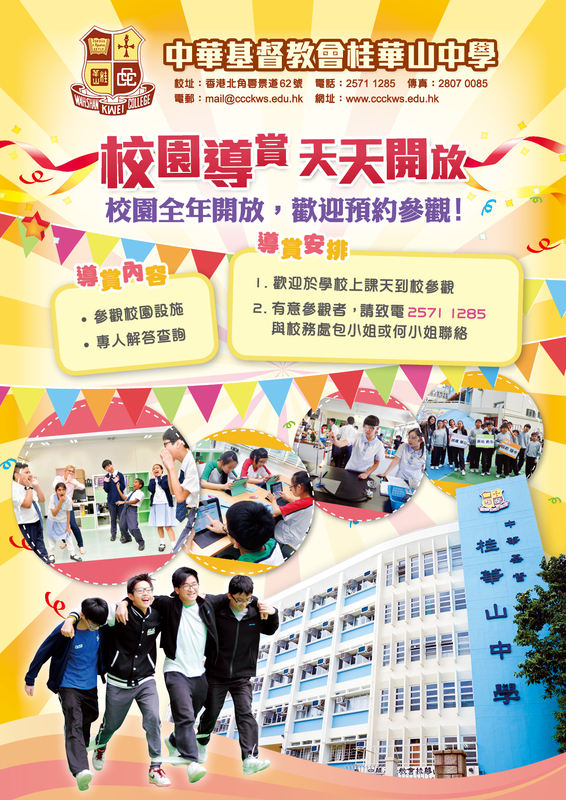 More information about our school can be obtained at our school website (http://www.ccckws.edu.hk), from ‘Secondary School Profiles’ produced by the Committee on Home-school Co-operation, or from our Vice-Principal, Ms. Lo Man-Yee. According to the guidelines of the EDB, each applicant may apply to not more than two participating secondary schools listed in the Handbook for Application for Secondary 1 Discretionary Places, otherwise his/her chance of acquiring a Discretionary Place will be forfeited. Recommendation letter from primary school is not required. 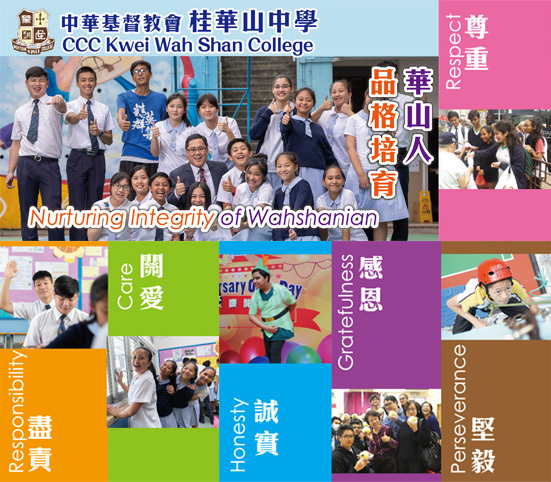 Monday to Friday: 9:00 a.m. ~ 5:30 p.m.
For more information about our school, please make an appointment for our Campus Tour.